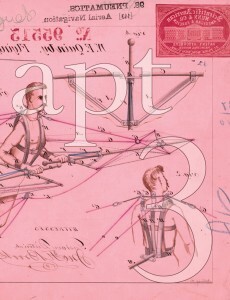 apt: Issue 3 is deftly curated, gathering stories and poems to reflect and echo one another. The editors—Carissa Halston, Randolph Pfaff, J.F. Lynch, and Robin E. Mørk—refer to them as neighbors, and indeed they are strong individuals living in a community defined by yearning. There is yearning for connection to others, to life, to one’s own body, and it is palpable. An essential loneliness unites this issue. The language throughout apt: Issue 3 is lush and gorgeous. Transitions are effortless. Some stories utilize a traditional narrative while others are more conceptual, like “Ritual Before Sleep,” by Amy Schulz, in which Eliza’s frustration, curiosity, desire, every part of her, is literally tidied away; and “Additional Tenses You Should Know” by Sue Allison, which uses a grammar lesson to study our relationship with the past. completely unsexy and that is good sometimes. stitched recipes. Quilts tell stories. A body, torn apart, unites them. It confronts them with life. The girl’s story becomes theirs. Perhaps we cannot be each other’s “evacuation routes.” We cannot always save each other, but we can try. Trying, the world draws closer. When a fungus appears, she knows she must embrace the ugliness, embrace disgust as she formerly embraced pleasure. To reject any part of herself is to reject life. In the end, her heart remains a stranger. There is division between her body and self. What hope of connection with others or the world, if we’re not at home in our bodies? The contributors to apt: Issue 3 are wise, delivering questions, not answers. Each piece is fresh and inventive. There are sentences and stanzas to savor and thematic patterns to contemplate. Thoughtfully arranged as they are by the editors, the reader is treated to a singular experience. Susan Rukeyser writes stories because she can’t stop. Believe it, she’s tried. Most of them are fiction. Her work appears in The View from Here, Necessary Fiction, PANK, SmokeLong Quarterly, The Mom Egg, Atticus Review and elsewhere. She won the Hippocampus 2011 Contest for Creative Non-Fiction. She explains herself here: www.susanrukeyser.com and sporadically posts book reviews to Goodreads. This entry was posted in Book Reviews and tagged apt, apt issue 3, book reviews, Sundog Lit, Sundog Lit Blog, susan rukeyser. Bookmark the permalink.